The Pizza Press wants you to Craft Your Own Story in your neighborhood. Founded in 2012, The Pizza Press is a top pizza franchise dedicated to bringing the ‘build your own pizza’ model to a new, experiential level by creating an immersive, 1920s Americana-inspired newspaper theme where delicious food and the finest craft beers, are combined with a fun ambiance and incredible service. The Pizza Press’s theme is inspired by the mechanized dough press, and harkens back to an era when newspapers were part of the foundation of every town. We are taking our unique “publish your own pizza” concept to other parts of the United States and around the world, with more than 85 units sold. We have been operating as a dark horse for several years, but now we are ready to break out into the national arena. 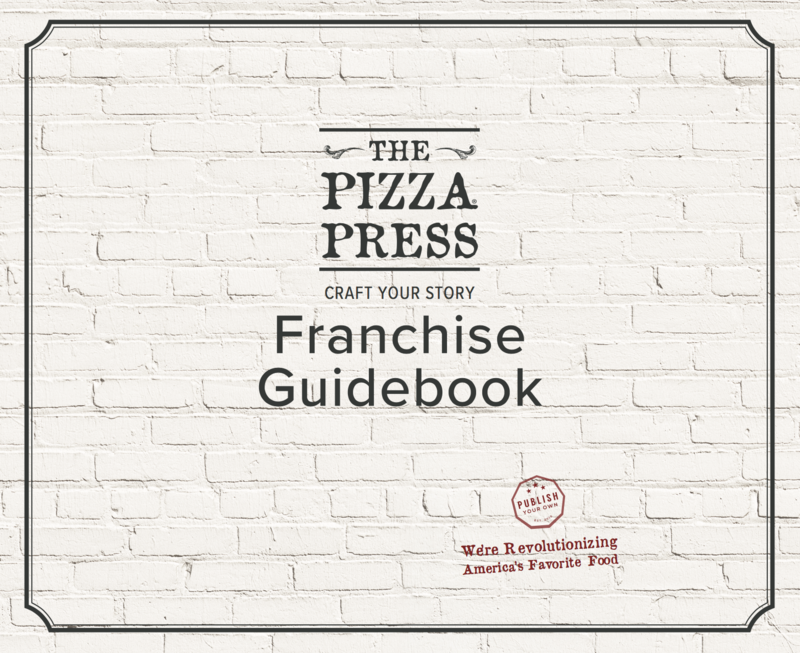 The Pizza Press franchise program is the engine which fuels our commitment to encourage small business owners to build on the respected brand of The Pizza Press and to Craft Your Story in your neighborhood. Come be a part of our organization and be newsworthy! Commitment: Dedicate 100 percent of your time in the day-to-day operations and marketing or designate an Operating Principal (with at least 10 percent equity in the franchise or equivalent profit sharing). 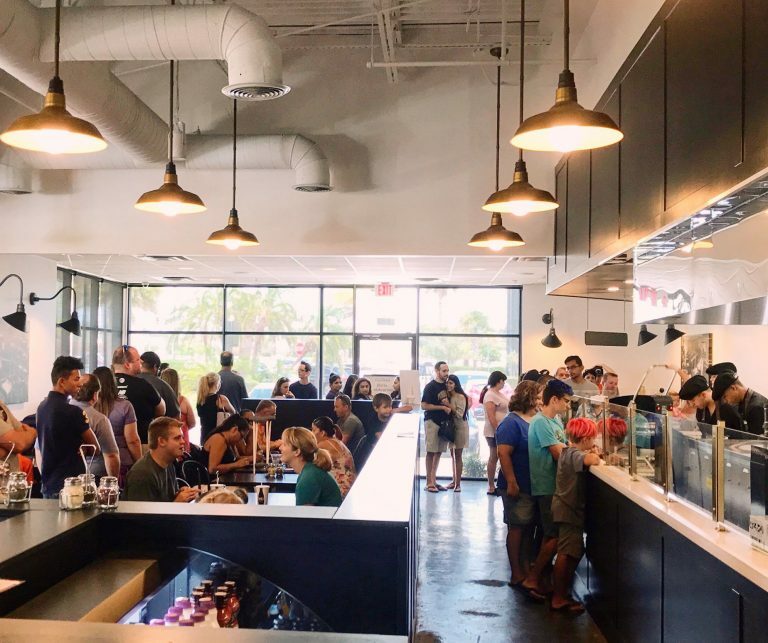 Experience: While experience as a multi-unit owner or operator in QSR, fast-casual or restaurant dining industry is preferred, it is not necessary. Insight: You or your Operating Principal should have familiarity with the trade area that you plan to develop. Passion: You, your Operating Principal and all of your partners must demonstrate the enthusiasm and drive required to operate a Pizza Press restaurant to our high standards. Cash: Including all your partners, you should have a minimum liquidity of $300K (i.e. cash reserves) per restaurant to be developed. Q: What kind of resources and support does The Pizza Press franchise program offer? A: Our franchise owners gain access to the The Pizza Press brand, our unique recipes, operating policies and procedures, uniforms, design, development, and construction of your store, vendors, and in-depth, continuing training and support. In addition, we also provide our franchisees with a website, social media and marketing programs, an online ordering system, gift card program, and more. The most amazing part is that you get to become part of a family that is focused on serving top-notch pizza in a new and exciting way. Q: What are The Pizza Press franchise fees? A: There is a one-time franchise fee of $35,000 per restaurant ($28,000 per subsequent restaurant in a multi-unit. There are also some additional, continuing fees: a royalty fee of six percent of gross sales and a creative (marketing and advertising) fee of two percent of gross sales. Q: Is there an opportunity to develop an entire The Pizza Press territory? A: We have a set of specific qualifications that must be met for territory development. Upon reviewing and approving your qualifications, we will grant franchises for multiple restaurants (this requires an area development agreement). Q: What is the average size of a The Pizza Press store? A: Ideally, we like our stores to range from 2,200-2,600 square feet, plus have room for an outdoor patio. However, depending on the location, we will entertain locales as low as 2,000 square feet and as high as 4,000 square feet. Q: What about the location? A:To us, location is everything. It can make or break your business. We want you to be very familiar with the area in which you want to open your store. The process of finding and securing a restaurant location will be discussed during the franchise evaluation process. Q: So, how much does a typical The Pizza Press restaurant cost? A: Our FDD lists a range of $455,350 to $791,500. Q: Is it required that I be involved in the day-to-day operations of my The Pizza Press restaurant? A: If you prefer to not be involved, you ARE REQUIRED TO appoint an Operating Director (that owns at least 10 percent equity) to oversee the day-to-day operations of the restaurant(s). Q: Do you offer a franchise program for Veterans? A: Yes, we absolutely have a program for Veterans of the United States Military. Please contact us directly for more information. Q: How much cash flow do I need to open a The Pizza Press franchise? A: We require that you and/or your business partners have roughly $300k in cash reserves per restaurant. Q: What about hours of operation? A: We are generally open from 11am until about 1am, depending on location. Q: Once my franchise is approved, what type of training will I receive? A: We provide you with one week of training at our facility in Orange County, plus an additional ten days of onsite training for the Grand Opening at your store. Q: Once my franchise is approved, how long will it take for my The Pizza Press store to open? A: In general, it takes about 12 weeks to create architectural plans, pull city permits, and select a general contractor to oversee the project. After you have taken possession of your location, it takes an additional 10-12 weeks to build your store. Therefore, it usually takes 4-5 months from approval to your Grand Opening. Q: I’m interested. What’s next? A: Fill out the online franchise inquiry form and we’ll be in touch with you shortly!